The flush of spring grass will ensure ‘Doctor Green’ will act as a tonic on the free-roaming ponies of the New Forest. 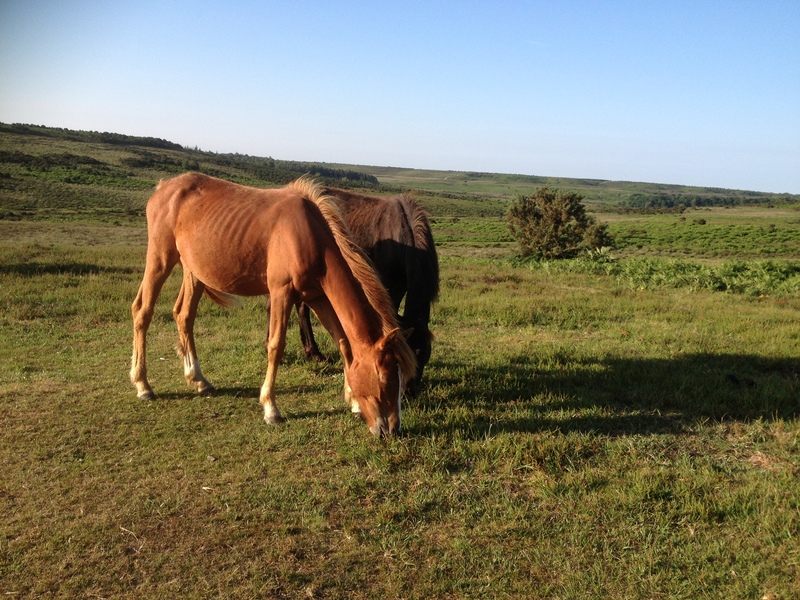 Keeping free-roaming ponies on the New Forest is a pleasure and a privilege. Walking through the woodland pathways and along the heathland tracks in search of my mares are journeys always full of anticipation and enjoyment. At this time of year I will notice that some of the ponies, particularly those that have over-wintered on the Forest, will be living off their body reserves and may be looking fairly thin. I’m not too worried though because once the spring grass comes through ‘Dr Green’ will work his magic and the ponies will begin to gain condition and start to look well again. It is a natural cycle that New Forest ponies have endured for generations. They have adapted to the climatic conditions of the Forest and the meagre rations of food that it sometimes offers in the bleaker months. The Agisters monitor the welfare of all the commonable stock to ensure that high standards are maintained and will intervene if they believe that any animals are unduly suffering. Nevertheless, some visitors feel the urge to feed the ponies because they think they’re starving or underfed. This is quite unnecessary and needs to be actively discouraged. Another possible reason that a New Forest pony may look thin could be due to ‘strangles’, which is also referred to as ‘equine distemper’. This is a highly contagious respiratory infection that is caused by a bacterium – Streptococcus equi. It is the most common respiratory infection of horses, ponies and donkeys in the world and can occur in the feral herds of the New Forest. The disease presents symptoms that include fever, loss of appetite, nasal discharge, and swollen lymph nodes. In severe cases an abscess forms in the back of the throat, which can lead to internal swelling and even a collapse of the airways, effectively ‘strangling’ the sufferer and giving the disease its name. Strangles has a 1% mortality rate. 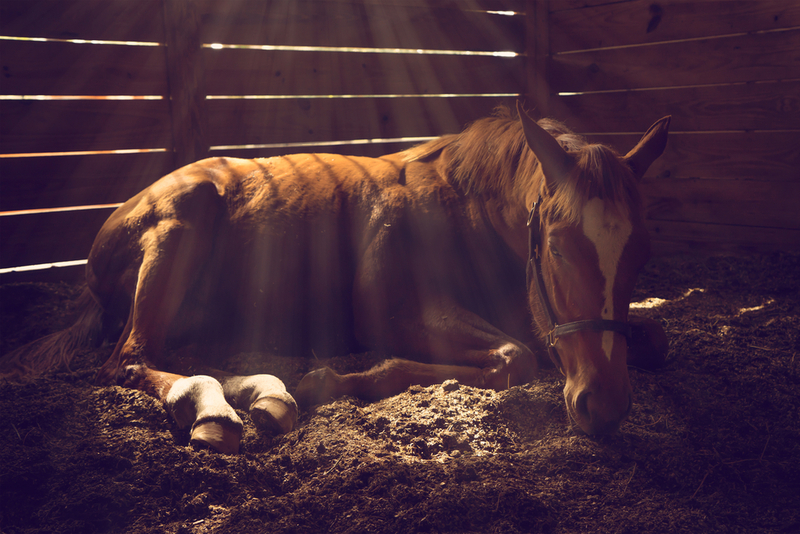 It is not an airborne disease but one that is contracted by direct contact between horses or indirect contact with infected material, such as feeding bowls, water troughs or shared tack and equipment. Humans, through petting and hand feeding, can also transfer it from infected animals to otherwise healthy horses or ponies. Visitors to the New Forest who stroke or feed the free-roaming ponies may be inadvertently spreading the disease. Last year a particularly vicious outbreak was reported on the New Forest and, as a preventative measure, the Verderer’s cancelled some of the pony drifts and sales at the yard in Beaulieu Road. This was a sensible precaution as herding the ponies together in the round-ups or sales yard could have spread the disease further. There are over 13.5 million day-visitors to the New Forest each year. Many of them come to the area because they can gain close proximity to the wild ponies. It is not implausible to imagine that many bring the disease with them and cause some of the outbreaks. They may, of course, not even realise that they are carrying the bacterium or be spreading it about. (In favourable conditions strangles bacteria can survive outside a host for weeks or even months). As a consequence, it may be that in the future we will see measures that are currently in force to prevent the invasion of non-native plant species, such as Himalayan Balsam, Japanese Knotweed, and Giant Hogweed, will be extended to include bio-organisms, such as Streptococcus equi. For the present though we must rely upon common sense in asking visitors not to pet or feed the ponies, and to ensure that anyone that has recently come into contact with the strangles bacterium stay away from the New Forest. Treatment for ‘strangles’ includes isolation, which to a ‘wild’ herd-living, free-roaming, New Forest pony is not an option. Video: Strangles in Horses – Veterinary Surgeon Julien Renard DVM MRCVS explains about Streptococcus equi in domestic (non-feral) horses. This entry was posted in New Forest, New Forest pony and tagged Agister, bacteria, Beaulieu Road Sales, bio security, contagious, donkeys, Dr Green, equine distemper, feral herds, horses, New forest, ponies, Pony Drift, respiratory disease, strangles, strangling, Streptococcus equi, Verderer. Bookmark the permalink.